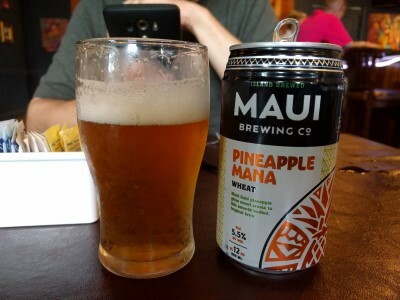 For our last meal in Hawaii, after a disappointing day of heat, mugginess, lots of heavy downpours, thinking we were lost (on a road that seemed to be in the middle of nowhere with no place to turn around because it was one of those terrific HI roads wide enough for only 1.5 cars), and general ugh, it's time to head home, we headed back to Mauna Lani Resort and The Blue Room. 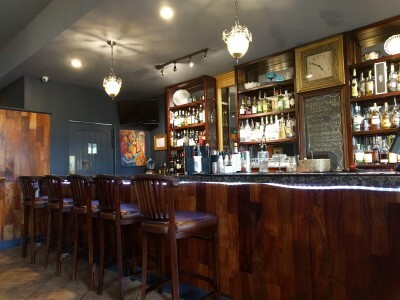 It's a French restaurant reminiscent of a Parisian brasserie with Hawaiian influence in both food and culture (so says the website!). Sounded disgusting to me, but he liked it. 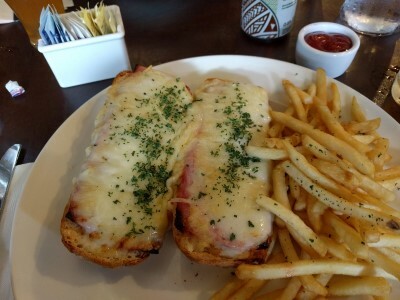 I chose Croque Monsieur (grilled ham, gruyere, bechamel, dijon). It was good, very good, but huge! I needed SP's help to finish it all. Also, it kind of felt like I was eating a French bread pizza (or open face hoagie?!) but it was really cheesy and the bechamel was creamy, both good things. 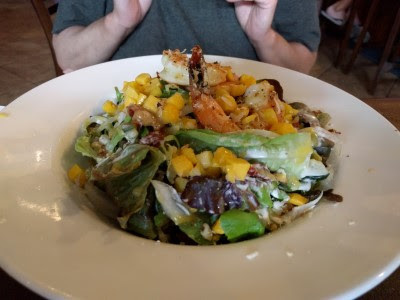 Of course while I was stuffing my face with bread, ham, melty cheese, and cream sauce with fries on the side, SP was all healthy: Coconut Prawn Salad (mixed greens, mango, coconut, sun-dried tomato, cucumber, coconut-lime vinaigrette). He got it without the blue cheese. He said it was very good. 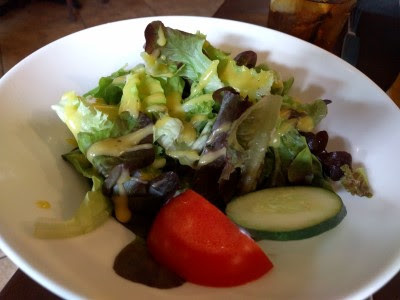 My side salad, The fries were a mistake, but they left them for us to munch on. After the huge sandwich, I was too full to eat more than a lettuce leaf and half a tomato, so SP helped and finished this salad, too. 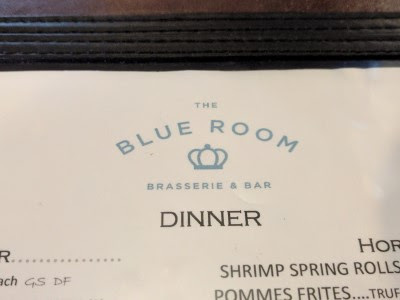 Overall we were happy with our meals, The server was very friendly. We were there around 4:30 since we wanted to get back to the hotel, pack, and get to bed for our early flight and it wasn't very crowded. It was kind of nice, being the only ones for a while. I do think it was a tad pricey but that's Hawaii and Hawaiian resorts.